Northern Arizona is a vast place. This road, while stretching off into the horizon, ends before the distant mesas are even reached. It is a place bigger than dreams, bigger than time. 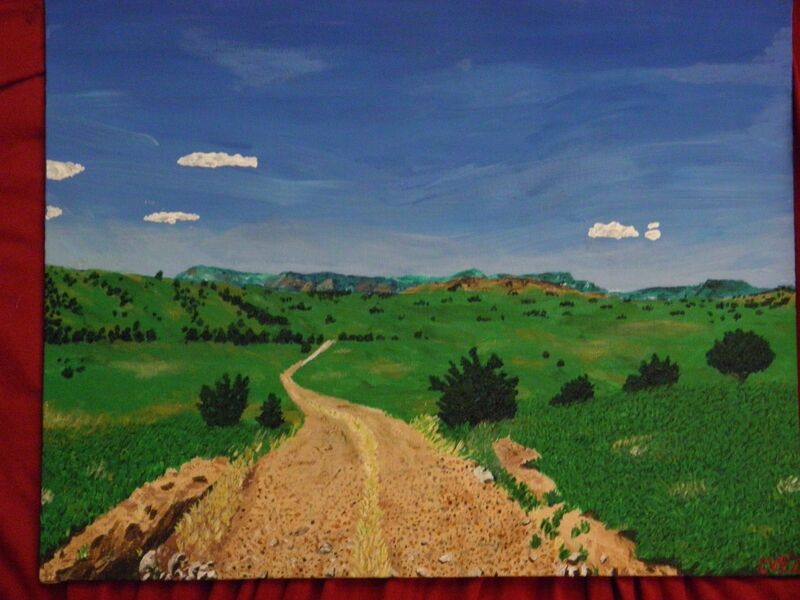 The photo which this painting was based on was taken in the Aubrey Valley, more or less in the middle-of-nowhere in Northern Arizona (though the nearest town, arguably, would be Seligman, AZ.